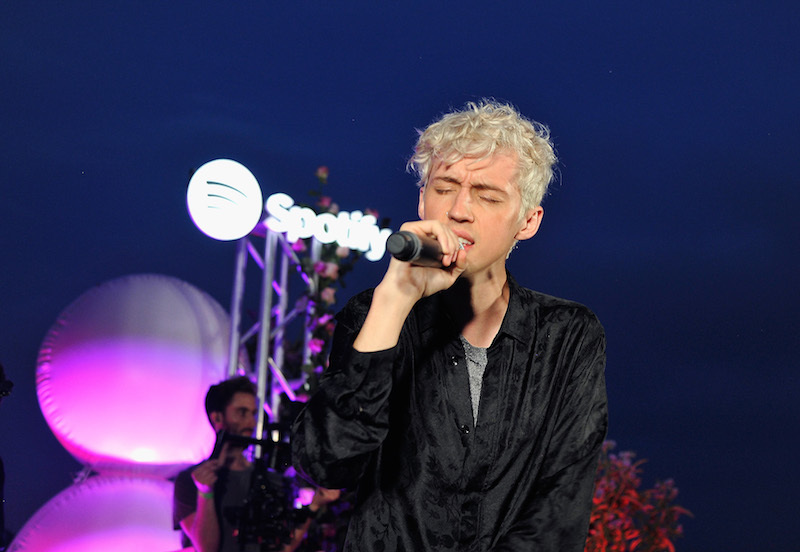 Spotify hosted a Spotify Fans First event in Los Angeles at Baldwin Hills Scenic Overlook with Troye Sivan in honor of his upcoming album, Bloom, out on August 31. Spotify invited 50 of Troye’s biggest fans to join him at the immersive event complete with a listening session and a stripped down live performance. Upon arrival, fans were treated to a beautiful floral photo booth moment in honor of Bloom and created postcards to send their loved ones. Troye welcomed his fans to an outside stage and surprised them with a live performance of hit songs including, “Good Side,” “My My My” and “Bloom” with the downtown Los Angeles skyline in the background. After the live performance, fans joined Troye inside a bubble capsule for an intimate listening session of his new album paired with an mesmerizing light show and projections. During the experience, Troye laid down beside his fans to introduce the album and shared stories about what influenced each song including personal anecdotes and private references. At the end of the performance, Troye revealed to fans that they were the first people in the world to listen to the album in full. Shameless star, Sammi Hanratty was also in attendance with boyfriend, Lucas Watson. The couple danced to the live performance and embraced each other sweetly during the listening session. Troye just released two Spotify Singles, a live studio version of his song “Bloom” and a stripped-down cover of Post Malone’s “Better Now.” Check both out HERE.